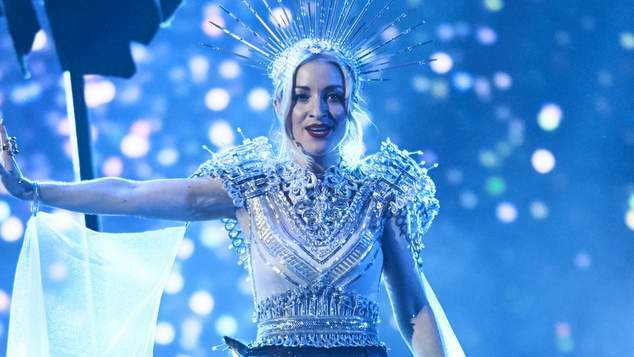 Kate Miller-Heidke has been crowned the winner of the first ever Eurovision – Australia Decides during the Live TV Final broadcast on SBS. The singer took to the stage to perform her song Zero Gravity, alongside some of Australia’s biggest artists and the scores of the viewing public and jury were combined for the official results. Electric Fields came second competition with the song 2000 and Whatever, while popular band Sheppard took out the third spot. Other contestants included drag star Courtney Act – who came in fourth, Bachelor Girl singer Tania Doko, Alfie Arcuri and Mark Vincent. After winning over the Australian public with 87 points and a jury of industry experts with 48 points, bringing her to a total of 135 points overall, Kate Miller-Heidke was been selected to represent Australia at the Eurovision Song Contest 2019, to be held in Tel Aviv, Israel and broadcast on SBS in May. Kate Miller-Heidke said she was overwhelmed to have won the competition. Miller-Heidke’s song, which she wrote with husband Keir Nuttall, is about post natal depression. The couple welcomed their first child in 2016. Over her career Miller-Heidke has released several albums alongside composing music for the opera The Rabbits and writing the words and music for the musical version of Muriels Wedding. This year was the first time Australians had a say in who would represent the country in the competition. Previously Australia has been represented by Guy Sebastian, Dami Im, Jessica Mauboy and Isaiah Firebrace. Kate Miller- Heidke will be the first artist to represent Australia who has not come to prominence through a reality TV singing program. This year’s outing of Eurovision has seen protestors outside the SBS headquarters in Sydney calling for the song competition to boycotted because it’s being held in Israel. Who have other countries picked to represent them? Queer teenager Bilal Hassani will represent France. The 19 year-old found fame on the French version of The Voice Kids and is known for his stunning wigs. As one of the ‘big five’ he’s goes straight through to the finals. Indie band Lake Malawi will head to Tel Aviv. Fronted by the handsome Albert Černý the band have always performed in English because they’re focussed on global success. Their tune Friend of a Friend sounds like NSYNC meets The Streets. Michael Rice has been chosen to represent the United Kingdom with the song Bigger Than Us. Rice was the winner of the TV singing competition All Together Now. One of the most recognisable names among the performers will be Darude. The internationally successful DJ topped the charts with his tune Sandstorm. Now he’s creating something new for Finland.The only time Finland has won Eurovision was with masked heavy metal act Lordi in 2006. Singer songwriter Duncan Lawrence has been announced as The Netherlands entry into the competition. The 24 year-old singer is unknown entity having only recently graduated from college, but he’s shared in interviews that he’s bisexual.